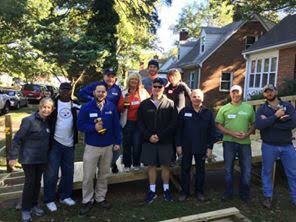 Rotary club of Richmond Rotarians Durwood Usry, Mary Ann Wilson, Mark Ughetta, Mike Little and VCU Rotaract students working on Saturday morning wood delivery project. 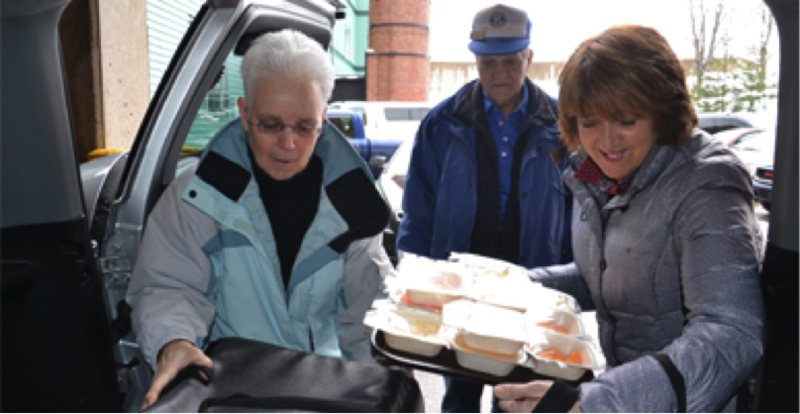 Meals on Wheels is one of our great volunteer oppurtunities. Our members deliver food every Thursday from 10:45am to about 12:30pm to help our community. Where: The Meals on Wheels distribution center is located at FeedMore Building 2, 1601 Rhoadmiller Street. When: Drivers please arrive between 10:45 and 11:00 a.m. on the day you are scheduled. 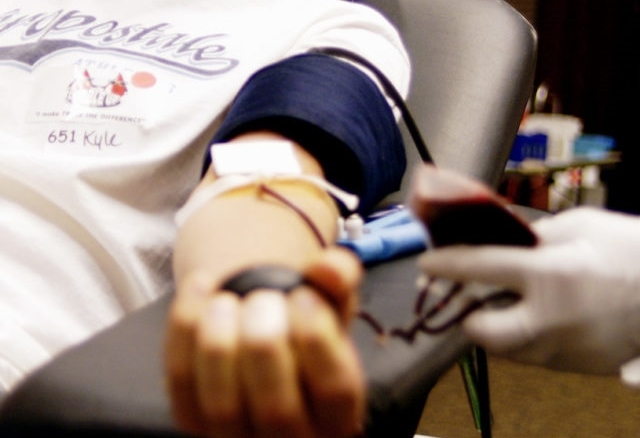 The members of the Rotary Club of Richmond donate blood three times a year in partnership with Virginia Blood Services. Our club counts donating blood as a meeting make-up. MISSION: Many families in Metro Richmond rely on firewood as a primary or supplementary home heating source and are without adequate resources to provide this necessity on their own. As wood supply is available from the city through downed trees or occasionally through other acceptable means of donation, Project W.A.R.M. endeavors to relieve that burden for as many of those who meet the criteria via their request through The Salvation Army. The main criterion is that the household relies almost totally on a wood-burning stove for warmth. Hardwood only is provided (no pine or similar) and reduced to stove-ready size for delivery. All expenses are borne by the volunteers and those with pick-up trucks are especially needed during the winter months.any families, in Metropolitan Richmond, rely on firewood as a primary or supplementary home heating fuel. Of those, a significant number are not able to acquire that fuel on their own. In so far as the means available to it will allow, Project W.A.R.M. endeavors to relieve that burden for as many of our less fortunate neighbors as possible. How Can I Get Involved? If you would like to join the Project W.A.R.M. team, contact Past Rotary Club of Richmond Presidents Durwood Usry (durwood@usryinc.com) or Mary Ann Wilson (LMAW1@earthlink.net). How Can I Help? Volunteers are key to this rewarding and unique project's success. Wood is split (using gas-supplied splitters) during the Spring/Summer months (late Tuesday afternoons) and continues during delivery season ((November-March) (from 9-Noon Saturdays). The woodlot is located at a city-owned maintenance lot behind John Marshall High School off Chamberlayne & North Avenues. Supervised children of all ages have found working on this project fun and rewarding and are most welcome if accompanied by a responsible adult. Tuesdays, beginning at 5:30 PM. Saturdays, beginning at 9:00 AM. Saturday afternoons are open, as are other evenings. Below Rotary Club of Richmond Rotarians Durwood Usry, Chuck Duvall, Mark Ughetta, Mary Ann Wilson, Mike Little, VCU Rotaract students and other friends load wood for Saturday morning project. Earlyact is a Rotary Club of Richmond project with Linwood Holton Elementary School within the city. 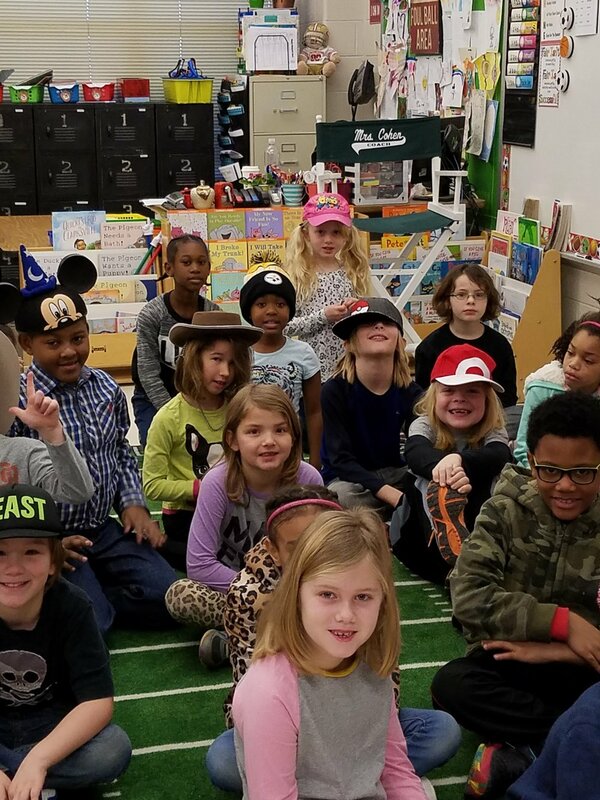 The program was the idea of member E.M. Miller who contacted the Assistant Principal, Anita Roane of the school and is shown below presenting a $900 check for the school's reading program. Students in grades K-6 are mentored by members in monthly meetings during the school year. Students are introduced to the value of humanitarian service, and the importance of high ethical standards in all vocations. For more information email Josh Green, Committee Chair (greenj@ymcarichmond.org). More recently the Club is also developing ties with an elementary school in Costa Rica through the Give-A-Book program and Peace Corps see: http://www.give-a-book.net/ as part of an international Club project. 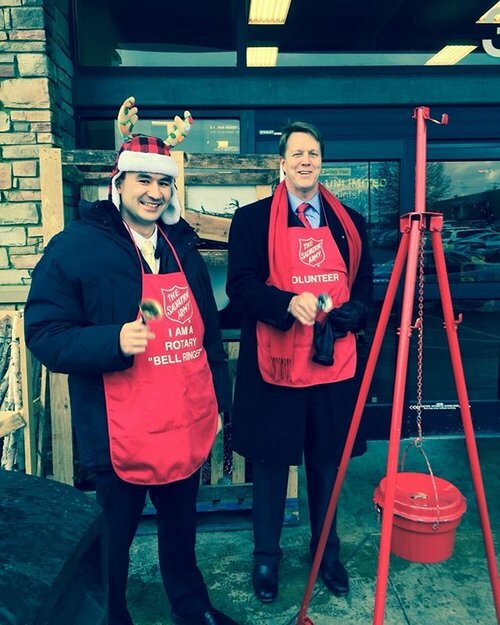 During the holiday season, Rotary Club of Richmond members volunteer to ring bells for the Salvation Army Red Kettle at the Kroger Store in Carytown. Alex Craven and Geoff McDonald help out on a cold December Saturday morning. Public contributions to Salvation Army kettles enable the organization to continue its year-round efforts at helping those who would otherwise be forgotten. Our Club proudly participates each year in this over 100 year tradition. The Rotary Club of Richmond (RCOR) partners with the YMCA and other area Rotary Clubs to furnish school age children from Richmond Public Schools with backpacks and back to school clothing essentials. Before school starts, the Y invites eligible children to participate through one of thirteen branch locations. Children meet at the Y on their assigned shopping date. Y staff takes them to Target® where they are paired with a volunteer RCOR shopping buddy. Together the child and shopping buddy shop; share a meal and, if time allows, read a story, play a game or color together. Backpacks filled with grade-appropriate school supplies are provided for each child. For more information contact Jeanne Walls, who is Committee Chair (and Past President of RCOR) of the Bright Beginnings @ jeanne@jwallsink.com. The Rotary Club of Richmond (RCOR) Partners with Project Homes of Richmond See: http://projecthomes.org/rehabilitation/ to build ramps at their warehouse located at 88 Carnation St. (Richmond, Va.) and install at a home of an individual who needs wheelchair ramp access on their premises. Spend time working to improve the living conditions of those in need. It’s a great way for Rotarians, their families or friends to get together in a meaningful and rewarding experience. Contact: Paul Shively, Committee Chair Project Homes Ramp @ pshively@cbcllc.net. Each year the Richmond Technical Center holds its annual Mock Job Interviews. The event involves the entire student population for this real world simulation in prep for the job market. Students dress in business attire and participate in a short interview. This is a great opportunity for the kids to interact with Rotarians and other business and professionals in Richmond. The interviews will take place February 2018 10:45 a.m. and 11:15-2:15 p.m. at 2020 Westwood Ave. Richmond, Va. Contact Percy Pollard at ppollard1@aol.com for more information.